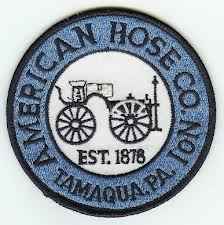 1820: American Hose and CITZ dispatched to Coaldale for house fire. AHCO crew already at station for training responded. 776 arrived on scene, Coaldale crew had already contained and extinguished the fire. 776 was released shortly after. 0002: AHCO dispatched to New Ringgold, intersection of North Railroad and Hughs St. Mutual aid dispatch, New Ringgold currently on scene of Motor Vehicle Accident with fatality. Homeowner also New Ringgold fire fighter, at scene of MVA. AHCO provided manpower.